How sweet it is with an election looming! The measures announced this Budget are proposals only and must go through Parliament to become law. Accordingly, it may take a newly elected Coalition government to get these measures through – and they’re counting on this Budget to help them get re-elected. NB. This paper focuses only on the proposed measures in the Budget that relate to financial planning. The Government will lower taxes for individuals by building on its legislated Personal Income Tax Plan announced in last year’s Budget. There will be a further reduction in tax via the non-refundable low and middle-income tax offset (LMITO). The reduction in tax provided by LMITO will increase from a maximum of $530 to $1,080 per annum and the base amount will increase from $200 to $255 per annum for the 2018/19, 2019/20, 2020/21 and 2021/22 financial years. For individuals with a taxable income of $37,000 or less, the LMITO will now provide a reduction in tax of up to $255. Between taxable incomes of $37,000 and $48,000, the offset will increase at a rate of 7.5 cents per dollar to a maximum of $1,080. Individuals with taxable incomes between $48,000 and $90,000 will be eligible for the maximum offset of $1,080. Between taxable incomes of $90,000 to $126,000, the offset will phase out at a rate of 3 cents per dollar. The LMITO will be received on assessment after individuals lodge their tax returns from 1 July 2019. From 1 July 2022, the top threshold of the 19 percent personal income tax bracket will increase from $41,000 (already legislated) to $45,000. From 1 July 2022, the low income tax offset (LITO) will increase from $645 (already legislated) to $700. The increased LITO will be withdrawn at a rate of 5 cents per dollar between taxable incomes of $37,500 and $45,000, instead of at 6.5 cents per dollar between taxable incomes of $37,000 and $41,000 (already legislated). LITO will then be withdrawn at a rate of 1.5 cents per dollar between taxable incomes of $45,000 and $66,667. The above two changes will lock-in the reduction in tax provided by LMITO when it is removed. From 1 July 2024, the 32.5 percent marginal tax rate will reduce to 30 percent. These changes will result in about 94 percent of taxpayers having a marginal tax rate of 30 percent or less by 2024/25. From the current financial year, i.e. 2018/19, the Medicare levy low income thresholds for singles, families, seniors and pensioners will be increased. The increases take account of recent movements in the CPI so that low income taxpayers generally continue to be exempted from paying the Medicare levy. The instant asset write-off threshold is increasing from $25,000 to $30,000. The threshold applies on a per asset basis, so eligible businesses can instantly write off multiple assets. Medium-sized businesses with aggregated annual turnover of $10 million or more, but less than $50 million will now also have access to the instant asset write-off. Small businesses with aggregated annual turnover of less than $10 million will be able to immediately deduct purchases of eligible assets costing less than $30,000 that are first used, or installed ready for use, from Budget night to 30 June 2020. Medium sized businesses will also be able to immediately deduct purchases of eligible assets costing less than $30,000 that are first used, or installed ready for use, from Budget night to 30 June 2020. These businesses must also acquire these assets after Budget night to be eligible as they have previously not had access to the instant asset write-off. The Government has already legislated a $20,000 instant asset write-off for small businesses. Eligible small businesses can immediately deduct purchases of eligible assets costing less than $20,000 that are first used or installed ready for use by 30 June 2019. Thus, when legislated, small businesses will be able to immediately deduct purchases of eligible assets costing less than $25,000 that are first used or installed ready for use over the period from 29 January 2019 until Budget night. With an upcoming election, sweeping changes to the superannuation system was never on the cards. Instead, only tweaks to enhance the attractiveness of superannuation was expected. On the eve of the Budget, the Government announced measures (confirmed in the Budget) aimed at improving the flexibility for older Australians to save for their retirement using superannuation. 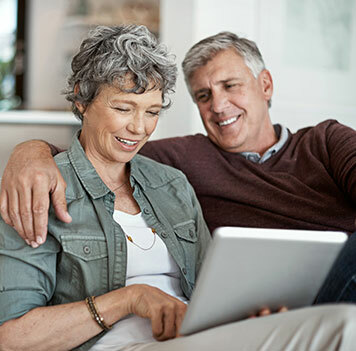 From 1 July 2020, people aged 65 and 66 will be able to make voluntary contributions – both pre-tax concessional contributions (CCs) and after-tax non-concessional contributions (NCCs) – without having to meet the work test. No strings attached – no total superannuation balance (TSB) test! The work test is gainful employment for at least 40 hours over a period of 30 consecutive days in the year the contribution is made. From 1 July 2019, the new work test exemption comes into play, but this requires an individual to have met the work test in the financial year before the financial year in which the contribution(s) is made and have a TSB less than $300,000 as at the previous 30 June. This proposed measure gives individuals aged 65 or 66 who do not meet the work test because they may be retired, or only working one day a week, or volunteer, the opportunity to top-up their superannuation savings by making voluntary contributions. Voluntary CCs include salary sacrifice contributions and personal contributions for which a tax deduction is claimed. This measure will align the work test with the eligibility age for the Age Pension which is scheduled to reach age 67 from 1 July 2023. From 1 July 2020, the NCCs bring-forward rule will be extended to those aged 65 and 66. Currently, the NCCs cap is $100,000, but an individual can only make an NCC if their TSB is less than $1.6 million at the previous 30 June. Individuals under age 65 anytime in a financial year may be able to trigger the bring-forward rule which is also determined by their TSB. If it’s less than $1.4 million at the previous 30 June then the maximum NCCs cap is $300,000 and the bring-forward period is three years. If their TSB is between $1.4 million and $1.5 million then its $200,000 and 2 years, otherwise the NCCs cap is $100,000 with no bring-forward period. For those age 65 to 74 at 1 July in a financial year who haven’t triggered the bring-forward rule in the previous two years, the maximum they can contribute is $100,000 a year. This proposed measure may give individuals aged 65 or 66 – including those who will not meet the work test from 1 July 2020 – the opportunity to top-up their superannuation savings by making NCCs of up to $300,000 using the bring-forward arrangements. From 1 July 2020, the age limit for spouse contributions will increase from 69 to 74 years of age. Currently, individuals aged 70 or more cannot receive contributions made by a contributing spouse on their behalf. Individuals may be able to claim an 18 percent tax offset on up to $3,000 of NCCs made on behalf of their non-working or low income-earning spouse. If their income is less than $37,000 the contributing spouse may be eligible for the full $540 tax offset. The tax offset gradually reduces for income above $37,000 and phases out entirely when it exceeds $40,000. From 1 July 2020, self-managed superannuation funds (SMSFs) and small APRA funds (SAFs) with a member(s) in both accumulation phase and retirement phase during an income year will be able to choose their method of calculating exempt current pension income (ECPI) – either the segregated method or proportionate method (the proportionate method generally requiring an actuarial certificate). In addition, SMSFs and SAFs will no longer have to obtain an actuarial certificate when using the proportionate method to calculate ECPI where all members of the fund are 100% in retirement phase for the entire income year. From the 2017/18 income year, the superannuation reforms introduced the concept of ‘disregarded small fund assets’. SMSFs and SAFs that have disregarded small fund assets are required to use the proportionate method in calculating ECPI. Consequently, the trustees must obtain an actuarial certificate to certify the proportion of income that is exempt, even if the fund is 100% in retirement phase – which is costly and superfluous. at the previous 30 June, any member had a TSB greater than $1.6 million and has a retirement phase income stream in the SMSF or SAF, or any other fund. an SMSF or SAF is 100% in retirement phase and has disregarded small fund assets. The proposed measures are most welcome, especially the abolition of the requirement for SMSFs and SAFs to obtain an actuarial certificate when using the proportionate method to calculate ECPI where all members are 100% in retirement phase for the entire year. Common sense has prevailed! The Australian Taxation Office (ATO) is expanding the SuperStream Rollover Standard used to transfer information between employers, superannuation funds and the ATO. The start date of SMSFs will be delayed until 31 March 2021 to coincide with the expansion of the overall standard. The Government will extend Australian Defence Force Superannuation Scheme (ADF Super) membership eligibility to allow ADF Super members to choose to remain, contributory members, when they discharge from the Australian Defence Force. This will align ADF Super arrangements with superannuation arrangements available in the broader industry and other public superannuation schemes. Trust you find this informative and useful.